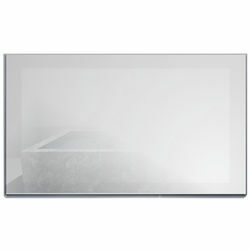 TechVision > 24" Edge Waterproof Mirror TV (LED, 1080p). Techvision 24" Edge mirror waterproof LED HD TV with tuner and 1080p. TV turns in to a mirror when not in use. Suitable for bathrooms and kitchens. High bright 24 inch LED panel (wide-screen). 2 x Waterproof ceiling speakers included. Fully waterproof remote control included (floats). Heated glass screen ensures that condensation doesn't spoil your viewing. PAL and DVB-T2 MHeg5 dual tuner built-in. Built in Freeview HD tuners you can easily switch between your favourite TV & Radio stations. Waterproof rating: IPX6 (suitable for zones 1 & 2). Maximum resolution: 1920 x 1080. Signal Input: TV/AV, 75O composite video. Operating Temp: 0 - +50 (degrees C). Storage Temp: -20 - +60 (degrees C). 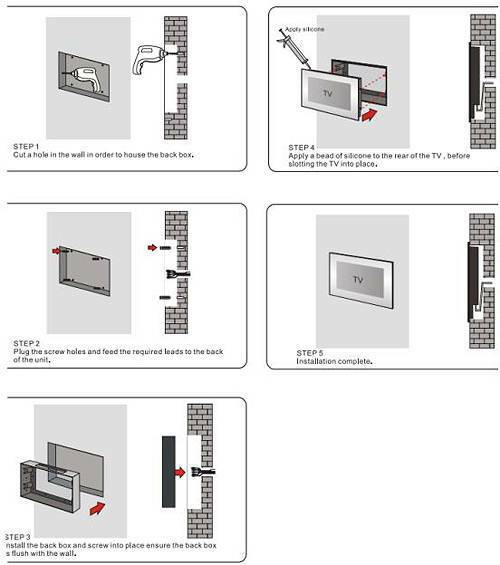 TV dimensions: 600w x 402h x 38d mm. Back box size: 561w x 365h x 50d mm. 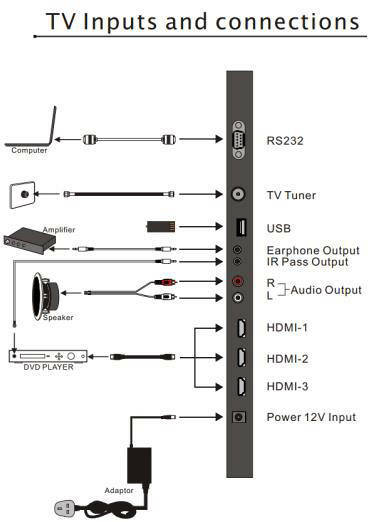 Inputs: 1 x Dual tuner, 3 x HDMI, 1 x USB and 1 x RS232. Output: 2 x Speaker out and 2 x audio out. Box contains: Waterproof LCD TV, 2 x waterproof ceiling speakers, waterproof remote control, cabling required and a user manual. 2 Year guarantee: TechVision guarantee this waterproof TV for 2 years. TechVision TV's have been successfully used in luxury hotels and properties around the world, for years. 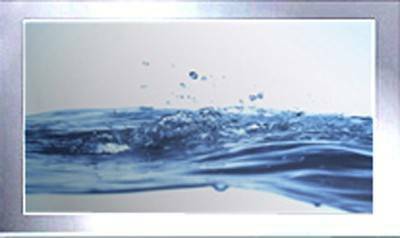 Specifically designed for use in wet and humid environments, their waterproof TV's make the ideal bathroom, kitchen, outdoor spa or a vanity mirror TV. 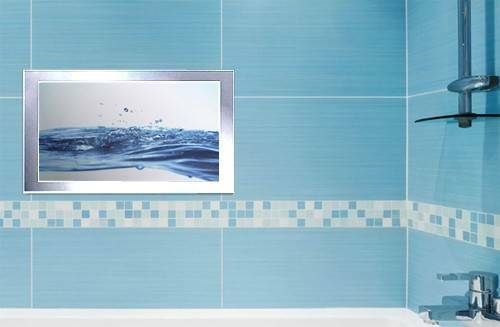 The TechVision attractive range of bathroom TV's incorporate high-bright LCD or LED panels and heated, toughened-glass screens, to aid condensation clearance.